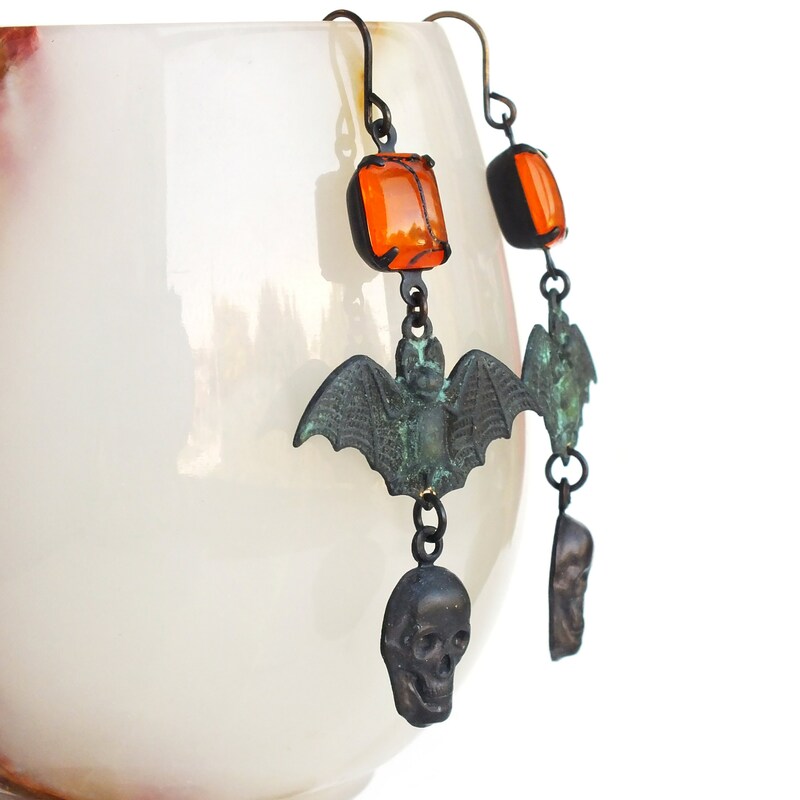 Halloween handmade black skull earrings with black brass and verdigris bat charms. 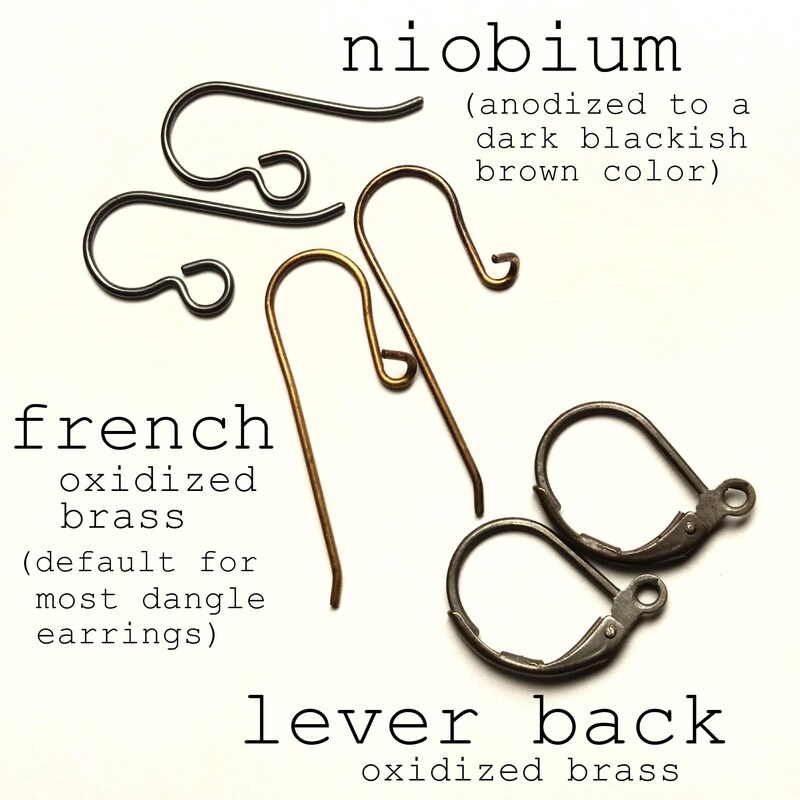 US made antiqued brass charms, settings and ear wires. 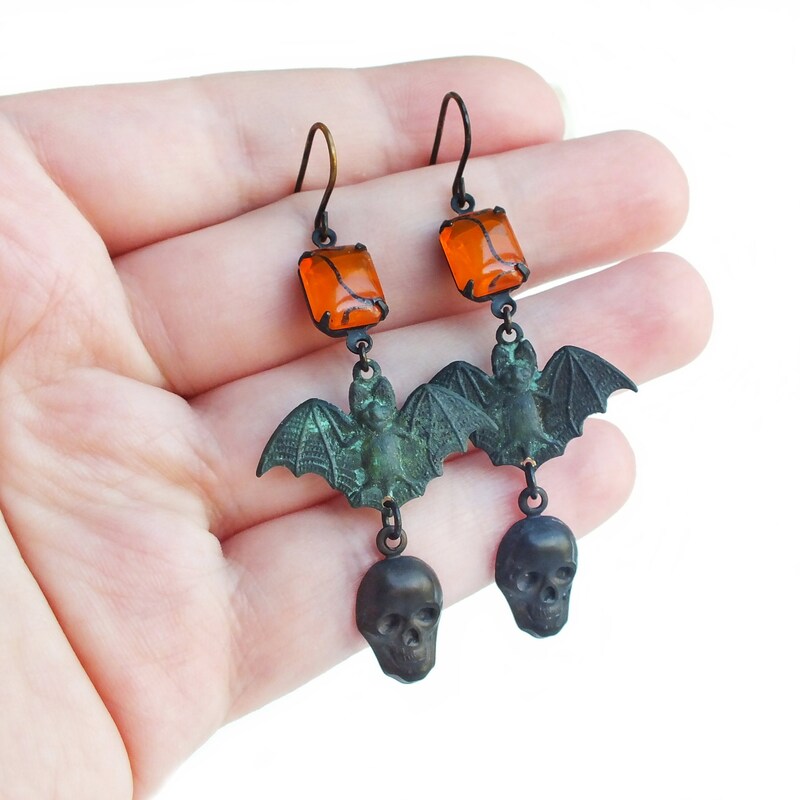 2 1/2 inches - 6.5 cm long. 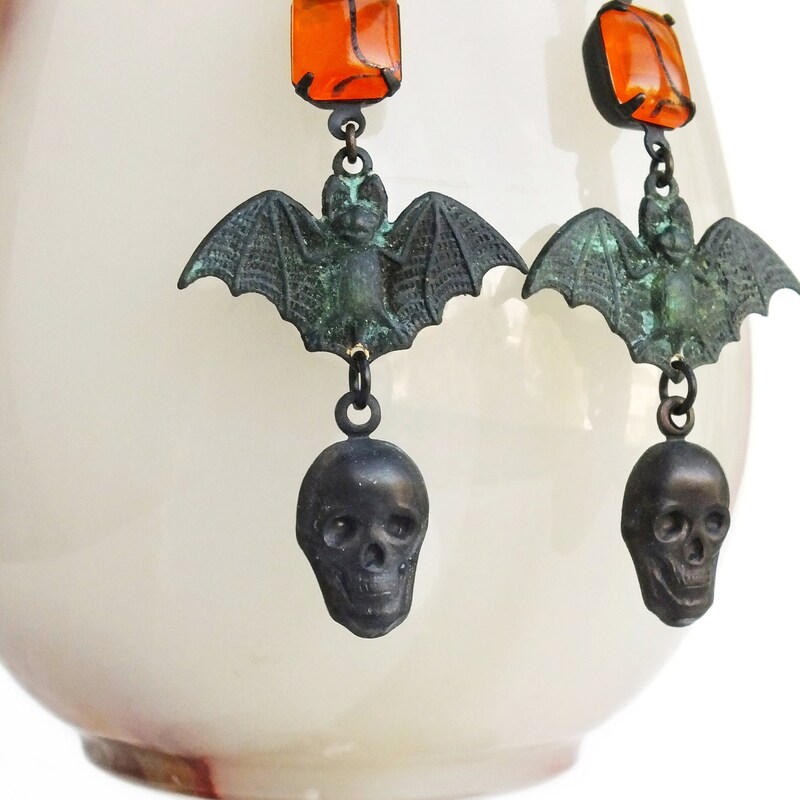 Halloween earrings made with dimensional brass skull charms I antiqued to a smoky black patina adorned from weathered green verdigris bat charms. 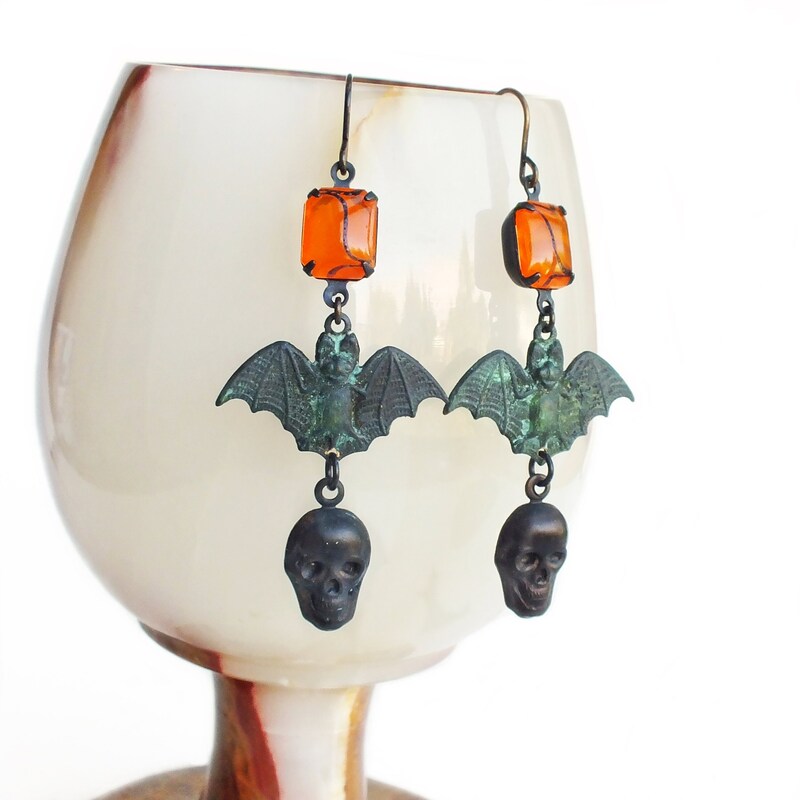 Topped with genuine vintage bright orange Art Deco glass rhinestones.